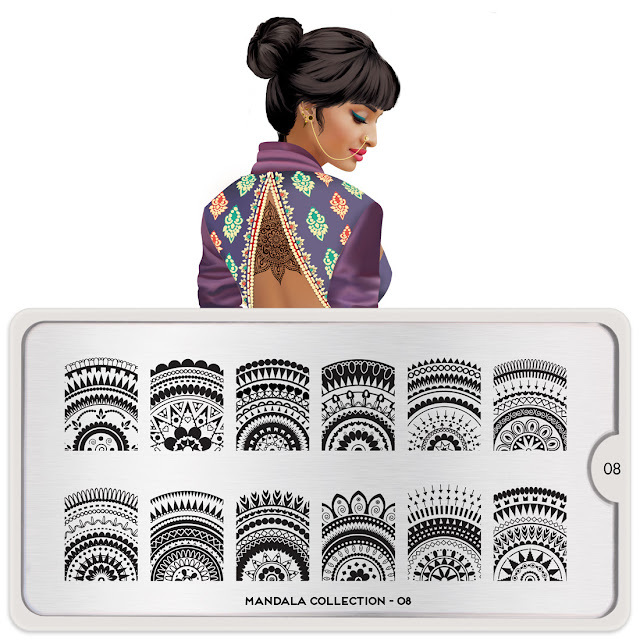 Lacquer Lockdown: Hot Off The Stamping Press: MoYou London Mandala Collection! 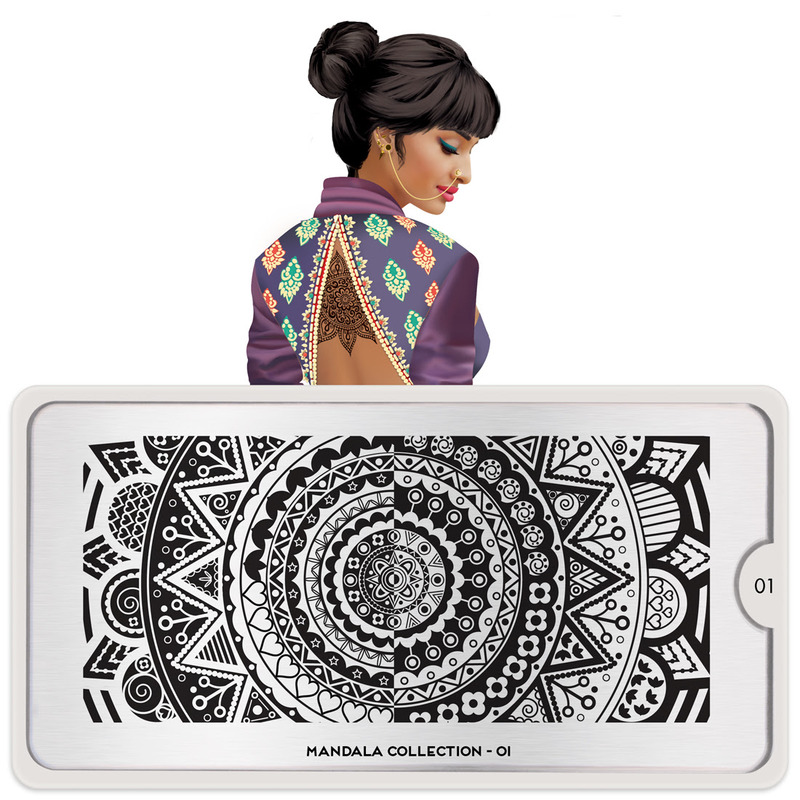 Hot Off The Stamping Press: MoYou London Mandala Collection! Welcome to the second post of the day and my total catch up with all things MoYou London related! 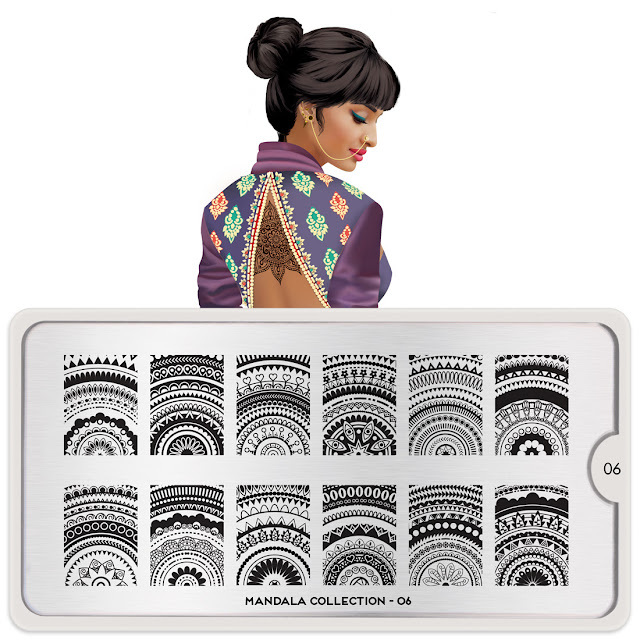 Last week MYL released the Mandala Collection to much fanfare or so goes the word on the street. In any case let's take a look at the latest collection from MYL to hit the scene. This plate is gorgeous, but here's the thing. When I look at this collection, and I think it's going to become more apparent as the plates go along, I think of two prior collections released by MYL. The Doodles Collection and the Kaleidoscope Collection. Now that I said that can you see the similarities? Now that it's hit me it really won't let me go. This plate is stunning I mean really stunning so despite the similarities I must have this plate! Now we are hitting full blown Kaleidoscope territory with a mandala mix. I'm not feeling it. Only because I got all those plates and the doodles plates. What can I say? I loved both prior collections a lot so these days I want to purchase things that are ultra fresh. Still it's pretty especially if you don't have either collection or only a few of each. Same as above but larger. Really I like these plates enough I'd at least wishlist a few of them on there. Much to similar to the Kaleidoscope Collection to the degree that I can barely tease out the mandalas on most of the images. You can see the mandala a bit more clearly now that their enlarged here but there is still the same problem as above so I'd pass on this plate. Pretty but same issue that I talked about before. Also this feels a little like an accent plate for some reason. All kinds of pretty! However I just realized this also reminds me a bit of the DRK Designer's Series plates too. Lol. And so there were have it! Another interesting release from MYL. What do you think? In any case these plates are up on the MoYou London website for the sweet price of 4.99GBP per plate plus shipping. Happy hunting stamperistas and thanks for reading! Stamping Mat Head To Head: Which Mat Is The Right Mat For You?